Admit it mums! Getting back a flat tummy after delivery is something that every mum dreams of. Some work really hard for it, some give up altogether and others swear by Spanx to mask the extra rolls. Well the good news is that as stubborn as they seem, those fats aren’t impossible to get rid off. Here are some simple home remedies that will definitely help you. One of the most effective ways to get a flat tummy after delivery is to bind your tummy for as many hours as you can in a day. Living in Singapore means that you are definitely familiar with postnatal massage and many mums find the traditional Malay bengkung wrap to be extremely effective. Of course this is not an option for mums who have just had a c-section. Professional massage therapists and doctors do not recommend such abdominal binding until at least four to six weeks have passed. C-section mums are strongly recommended to use abdominal binders. Your doctor is likely to get you to put one on as soon as a day after your surgery. Trust me when I say that it helps! The trick is in making sure that the binder is really tight and secure. If you’re worried about your incision, you can cushion it with an unused sanitary pad then use the binder over it. There are a myriad of topical lotions in the market that promise to help you achieve a flat tummy after delivery. Especially if you’re breastfeeding, do check the ingredients carefully and ensure that the cream is safe for nursing mums to use. Look out for creams containing Collagen, Vitamins A, C and E. Massaging such creams over your tummy will improve blood flow and tighten your tummy. If time permits, you can also use homemade lotions. One such lotion that has been proven to be effective is a hand-made lotion that is a blend of 250ml of fresh grapes extract in 750ml of extra virgin oil. Sieve the pulp before adding the grape extract to the oil. Place the blend in a bottle and let it stay in the sun for a week. Shake the bottle at least twice a day. Applying this home made lotion will help you to get a flat tummy after delivery. Ginger creams and wraps are a popular choice for postnatal tummy toning. Ginger wraps are another favourite among mums in Singapore! This is an easy and yummy way to achieve a flat tummy after delivery. All you got to do is to mix a glass of lukewarm water with some fresh lemon juice and half a teaspoon of honey. Drink this on an empty stomach or before meals. If possible, drink it when you just wake up and don’t drink anything else for a good half an hour before or after this. You can also add some mint leaves and cucumber and brew the water overnight. Cayenne pepper is not for everyone but a pinch of it goes a long way to boost your metabolism and burn that tummy fat. Do take mint leaves in moderation though for too much of it can reduce your milk supply. A cup of green tea a day keeps tummy fat away. And it’s no secret that green tea is rich in antioxidants so that’s an added bonus! Do remember that you should drink green tea in moderation. Too much of it isn’t good and you should limit your caffeine intake if you are breastfeeding. And the last thing you should do is to be drinking green tea with sugar or sweeteners for that would be counter-productive! So apples don’t just keep doctors away, they work well to get rid of tummy fat as well. Apples contain pectin which is helpful to burn the excess tummy fat. Just like green tea, apples are rich in antioxidants and that prevents the accumulation of excess fats. Apples can help you to get flat tummy after delivery. Not forgetting the other many health benefits of eating apples! Remember the healthy plate model? Well you should aim to include two portions of vegetables, a portion of fruits, whole grains, and healthy protein. Reduce your intake of salt and cut sugar out as much as you can. Avoid sodas and other carbonated drinks. Cruciferous fruits and vegetables like papaya, mangoes, grapefruit, broccoli, and kale are great when it comes to losing abdominal fat. As much as you want that flat tummy after delivery, do not compromise on the nutritional value of your food. This is essential for your recovery and even more so if you are breastfeeding. Dieting is not effective and it will make you weak. Your metabolism is pretty high at this point in time so aim for two heavy meals a day and three to four small meals at regular intervals. Go heavy on breakfast. Remember that when you eat well, you also end up burning more calories. You are what you eat – yes, largely, but you are also how much you move (or don’t move). Don’t jump into HIIT training or high impact workouts shortly after giving birth. You don’t want to end up with a prolapsed uterus! Strenuous workouts are not for new mums! Start by gradually building your endurance through walking, swimming, and cycling. Focus on cardio and when you have lost overall fat, focus on tummy toning exercises such as crunches and planks. Swimming is a great way to gradually build your endurance. Mums do remember that it’s impossibly to ‘spot reduce’ fats. You could do all the tummy exercises you want but you need cardio to get rid of overall fat. Importantly, make sure that you do not have a diastasis recti for if you do, tummy exercises like crunches will exacerbate the problem. You need specific exercises to correct a diastasis recti. This is of course a given. In case you didn’t already know, breastfeeding burns approximately 500 calories a day and helps your uterus to contract to its pre-pregnancy size. So this goes a long way in achieving a flat tummy after delivery. I don’t even need to start on the benefits it offers your baby. Another given. This is cheap, extremely important and also effective. Water rids your body of toxins and helps to reduce belly fat. It also helps to replenish the fluids you lose so if you’re breastfeeding and insanely thirsty, you need to drink a lot more water. Added bonus – drinking more water gives you great skin! Mums, if your confinement nanny or mother-in-law tells you that drinking water during confinement gives you a tummy you will never get rid off, please dismiss this misinformation. You need water. A lot of it! Did you know that curry leaves are great for detox? And yes, they do help you to get rid of belly fats as well! As for garlic, chewing on a couple of raw garlic cloves and then drinking lemon water can help you get your flat tummy after delivery. This might be a bit much for some though! There you go mums, 11 easy and effective methods to get rid of that stubborn mummy tummy. But please be kind to yourselves and your bodies and don’t rush or stress over losing weight. Don’t starve yourself or deprive your baby of important nutrients by drastically cutting calories. Don’t get too caught up in losing weight that you lose out on the most precious moments! Take it easy, follow these steps and lose the weight naturally. 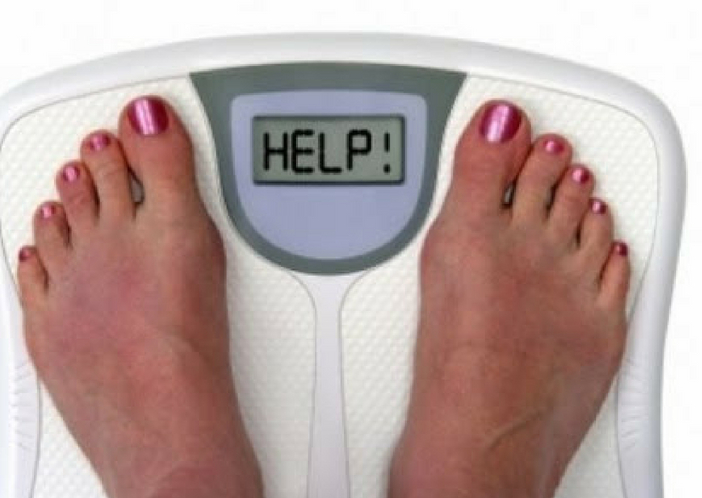 Remember that losing weight too rapidly is a terrible idea for you end up with loose and saggy skin. You have all the time in the world to lose weight so for the time being, focus on the most important moments with your babies before they are gone too soon! Previous articleThe Post-Baby Belly Woes: ALL YOU NEED TO KNOW and HOW TO GET RID OF IT !